When applying for college, high school students will have to compile many materials to send to their prospective schools. As part of your college application, you will need to send everything from SAT and/or ACT scores to your transcripts to ultimately your college essay. All of these materials will be used by college admissions counselors to determine whether or not you should be accepted into the school, put on a wait list or rejected. However, another part of the application process that high school students often overlook is the interview. While scheduling an interview is not possible to do at every college and university, if it is possible at your desired college, then you should definitely take advantage of this opportunity. 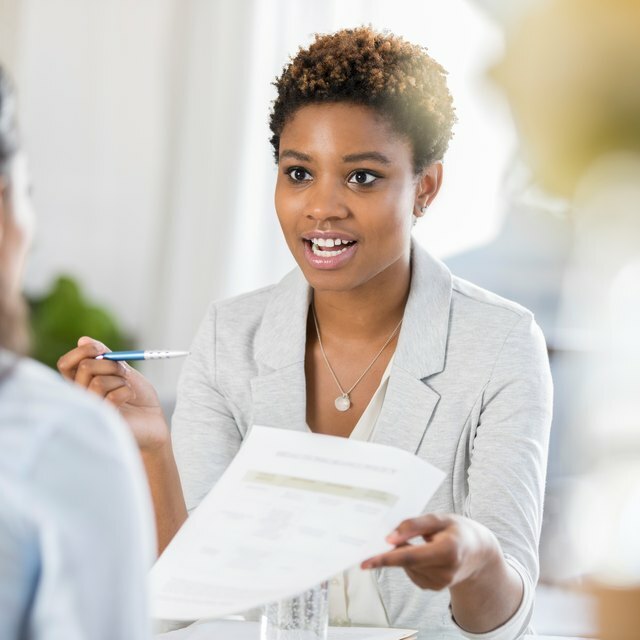 Since a college interview will be a lot different from any other kind of job interview you may have had, it's important to understand how the interview process works, how to prepare for your interview and what you can bring. What Is a Personal Interview for College? When applying to colleges, some schools give the option to their applicants to have a personal interview with an admissions counselor. An interview is required for some schools, including Ivy League schools like Brown and Harvard. At other schools, an interview is recommended or optional, which means that you should absolutely still schedule one. Finally, there are some schools where the admissions pool is so large that requiring or recommending interviews for applicants would not be possible. It's also important to know whether or not an interview will be informational or evaluative. If it's informational, then the interview is not required for applicants and it therefore shouldn't be too intimidating. It's a chance for you to essentially learn more about the program to which you're interested in applying and to see whether or not the school is a good fit for you – not so much the other way around. It's also a chance to show the school that you're really interested in going there, specifically because you went out of your way to do the interview even though it wasn't required. An evaluative interview, on the other hand, is quite different. This is an interview that is required or highly recommended as part of the application process. 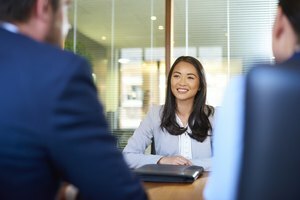 While it's not completely clear how much this interview will have an impact on whether or not you'll get accepted, a good interview experience can certainly give you a leg up on the competition. This kind of interview may be a little more nerve wracking, as the school will be evaluating you to see what kind of person you are and if you'd be a good fit for the school. To find out what your prospective schools' policies are on interviews, you can usually find that information online at a school's website, or you can call the office of admissions directly. Once you've determined whether or not you'll need to do an interview, it's time to schedule one. Your interview will either be with alumni, an admissions counselor or an admissions representative. You may be able to schedule your interview online at the school's website, or they may advise you to call in order to set up a time. This is usually done after you've applied to the school or around the same time that you send in your application. Interviews are typically held in your hometown or on the college campus itself. For bigger schools that require interviews for their applicants, there will usually be representatives who will make visits to various towns and cities where the applicants are located. For smaller schools, you may need to go to the actual admissions office at that campus to interview. What Do You Need to Prepare for an Interview? Why are you interested in applying for the specific program you've chosen? What experience do you have that makes you stand out? What's your favorite subject in high school and why? What are some interesting things about you that most people wouldn't know by looking at your application? Tell me about some of your biggest supporters. What was one of the biggest challenges/achievements you had in high school? What do you hope to get involved in while you're in school? What do you aspire to be/do after graduation? In order to prepare, you can ask someone in your family to give you a mock interview, or you can meet with your guidance counselor for one. You can record yourself doing the interview so you can watch it later and see what you did well and what you'll need to improve. You can also look online for additional resources to see what other people have reported being asked at their own interviews. The most important thing you should practice is the tone of your voice, your composure and not using filler words such as "like." What Do You Say in an Interview? 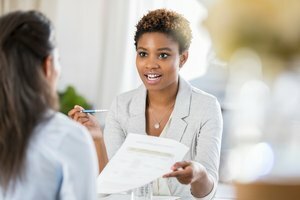 Now that you have an idea about what you may be asked in your college interview, you're probably wondering what on earth you should possibly say to give the answers the admissions counselor wants to hear. Remember that the person interviewing you has already likely read up on you beforehand. They have your transcripts and maybe your college essay and your credentials right in front of them on the table. If the interviewer is taking notes, that can make things a whole lot more intimidating. First and foremost, you should always be polite when you walk in. Shake the interviewer's hand and say something along the lines of, "Thank you for having me today," "It's a pleasure to be here" or even a simple "It's really nice to meet you." Be nice but also be genuine and don't try to put on a face of someone you're not. During the interview, make sure to answer questions concisely and honestly. If you don't like reading, for example, don't pretend that you do. Instead, say something like, "There are a few books I've read that I've enjoyed, but I actually prefer doing X instead of reading, which I believe has taught me just as much." When it comes time to ask questions, be careful not to ask anything that the interviewer has already mentioned unless you explicitly say that you're looking for clarification. Ask about the clubs or activities that are available on campus, the honors programs, how you can get involved on campus and in the community and what programs the school has in place to best prepare you for your future. Be kind and be confident, but also be mindful of your body language and your voice. Your college application materials, including a copy of your transcripts, a list of your awards, your resume and anything else that is relevant. You may not be asked for it, but it's good to have, especially if you need to be reminded of something right before your interview. If you're wondering whether or not you can bring a bag to an interview to carry all of these things, the answer is, "Why not?" It would be completely understandable to have a bag with you. However, just to be safe, leave the school backpack at home. Instead, bring a nice satchel, tote bag or something similar that makes you look tidy and professional. Also, make sure the interior of your bag is just as clean and organized as the exterior. You don't want to be digging for things in front of the interviewer or show him the mess you have in your bag. The only thing more challenging than preparing for your college interview and deciding what to bring is choosing your outfit. While you're not required to wear a suit or ball gown for your interview, you should wear something that could be considered business casual. Boys can wear a nice pair of slacks with a button-down shirt and a tie. Girls can wear a nice dress, pencil skirt or dress pants with a blouse. Though your college acceptance isn't based on your wardrobe, your clothing will still be the first thing that your interviewer notices, and you want to make a good first impression with crisp and ironed clothing. Of course, no matter what you wear, make sure it's comfortable. 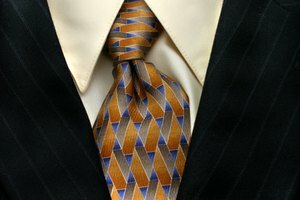 It's one thing to know what to bring or wear to an interview. It's another to know what not to bring. Because in this day and age everyone has a cell phone, it's probably acceptable to have yours with you. That being said, give it to a parent to hold while you're in your interview or leave it in your car. If you do have it in your bag, make sure to shut it off or silence it. You may also want to leave your headphones at home, as it might not look good if the interviewer sees you waiting with plugs in your ears. If you are anticipating your college interview, it's not uncommon to experience a lot of anxiety or nervousness. However, at the end of the day, there's nothing to worry about. While a college interview is important, it likely won't make or break their decision as long as you do OK. Just prepare yourself, practice as much as possible and stay positive. Lastly, consider scheduling interviews for the schools you really want to go to after you complete interviews for your safety schools. That initial interview experience will prepare you for what's coming at your prospective dream school. College Countdown: What Should I Bring to a College Interview? Are Khaki Pants Good for an Interview? LaRock, Hana. "About What to Bring to an Interview." Synonym, https://classroom.synonym.com/about-what-to-bring-to-an-interview-13714943.html. 17 September 2018.